Lovely, deep greenish color, amazing brightness, highly seductive. Shaking the glass brings out intense Chardonnay notes, with remarkable freshness and an aftertaste of fresh fruits such as green apples; citric aromas well balanced with hints of tropical fruits. In the mouth, it is a fresh, slightly sweet wine with vibrant acidity; tropical and citrus aromas are also found. Its volume and average structure make it an ideal wine to enjoy as an aperitif or as a perfect meal companion. 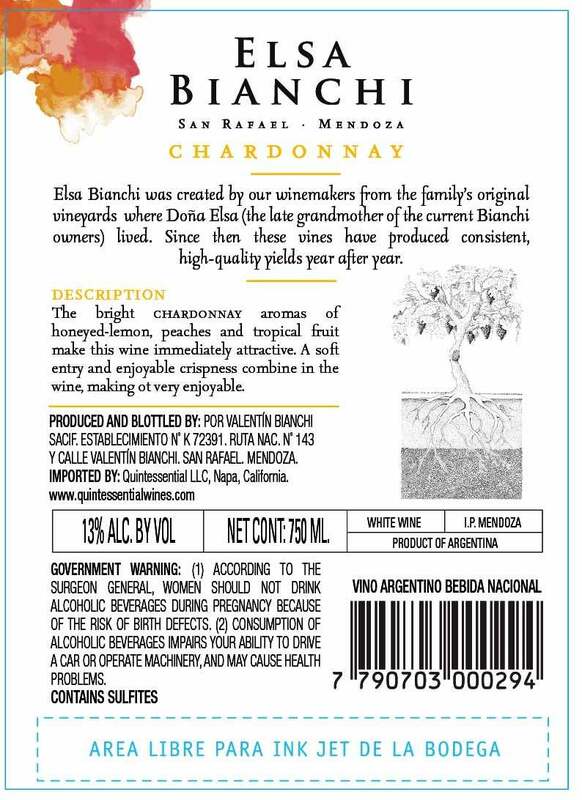 Valentin Bianchi’s Chardonnay grapes come from vineyards, in San Rafael, Mendoza, at around 760 meters above sea level, on sandy, calcareous soils of alluvial origin. Grapes are destemmed, crushed and pressed. The must is then chilled to 8 °C for blooming. Once this process is complete, fermentation begins with selected yeasts at 15 °C. After fermentation, the wine is left to rest so the fine lees will settle; these are removed weekly to achieve greater complexity and a fuller volume in the mouth. This is a great pairing with semi soft cheeses, rich grilled fish, creamy pastas and roasted vegetables. 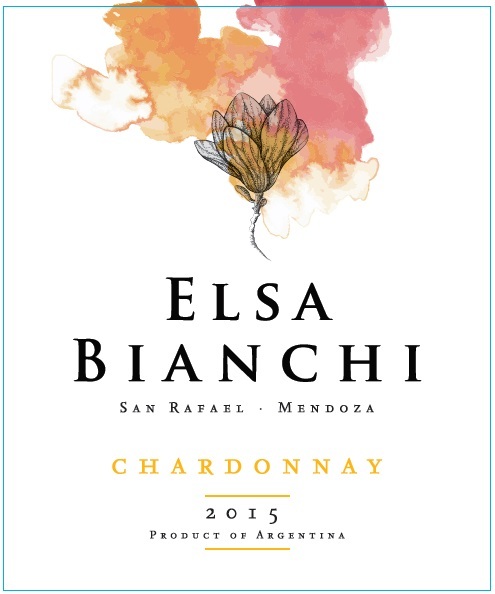 Elsa Bianchi wines are named after Dona Elsa, the late grandmother of the current Bianchi owners, who started the winery with her husband. Her first home, a small “casa,” still sits among the vineyards that also bear her name.